2005 African Jrs. : Egypt golden… Zambia shines! Lewis Ncube, "2005 Africa Junior Chess Championships: Final Round Update Report," Chess Federation of Zambia - Press Release, 20 December 2005 (Lusaka, Zambia). 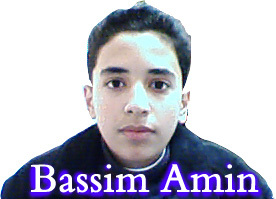 Following the capture of the 2005 African junior title with one round to spare by IM Amin Bassem of Egypt, the battles on the final day revolved around the silver and bronze medal positions (as well as pride). Richmond Phiri of Zambia won the silver medal by finishing with 7 points from 9 rounds after his final day victory over Craig Willenberg of South Africa. The bronze medal went to Malembeka Chumfwa also of Zambia who rounded off the final day with victory over Jeovani Santos of Angola. The performances of Richmond Phiri and Malembeka Chumfwa vindicate the policy decision taken two years ago by the Chess Federation of Zambia to offer automatic qualification to the African Junior Championships for the Zambian National Schools Champion. In his maiden appearance at the Continental Junior Championships last year Richmond Phiri won the bronze medal. He has improved upon this with a silver medal this time round. Malembeka Chumfwa has emulated Phiri by winning the bronze medal is his first appearance at this year's event. The two players are definitely ones for the future. There were also final day victories for three of the pre-tournament hopefuls; Farai Mandizha of Zimbabwe, Providence Oatlhotse of Botswana and Daniel Jere of Zambia. Amin Bassem (EGY) 8½-½, Richmond Phiri (ZAM) 7-2, Malembeka Chumfwa (ZAM) 6½-3½, Farai Mandizha (ZIM) 6-3, Providence Oatlhotse (BOT), Daniel Jere (ZAM) 5½-3½, Jeovani Santos 5-4, Antonio Sousa (ANG) 4½-4½, Tito Jilowa (ZAM), Craig Willenberg (RSA) 4-5. In the Girls Section Mona Khaled of Egypt also ran away with the title before the final day. Zambia's Yvonne Saina and Botswana's Ontiretse Sabure tied for second position on 6½ points. Sabure was awarded the silver medal on account of her points' tally not including a bye. Despite settling for the bronze medal, Saina had the satisfaction of having beaten Sabure in their head-to-head encounter. Twelve year old Zambian chess sensation, Epah Tembo, just missed out on the medals by finishing in fourth position with 6 points. The fourth Zambian girl, Leah Phiri, finished with a respectable 4½ points and had the distinction of being the only player to avoid defeat at the hands of the eventual winner Mona Khaled. Girls Standings after the final round: Mona Khaled (EGY) 8½-½, Yvonne Saina (ZAM), Ontiretse Sabure (BOT) 6½-2½, Epah Tembo (ZAM) 6-3, Cindy Simango (ZAM) 5-4, Valquiria Rocha (ANG), Leah Phiri (ZAM) 4½-4½.